Once you’re ready to show your progress to others and get some feedback, it’s time to share your prototype! There's two places where you can find the details to share your project. 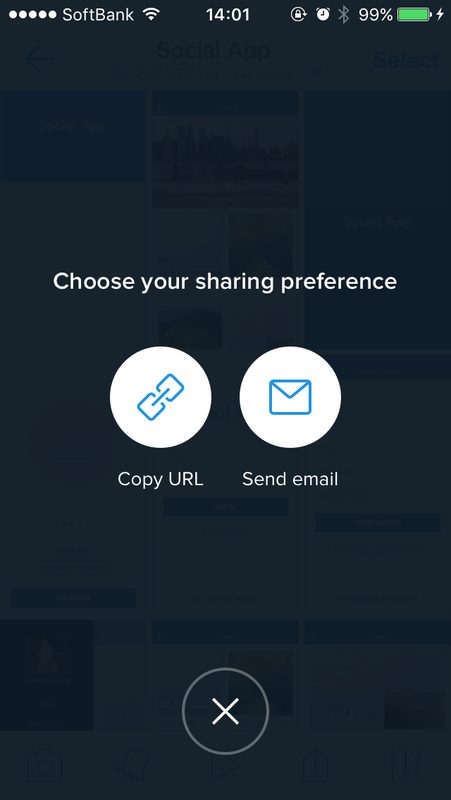 From your project screen, tap the share icon next to the preview icon. 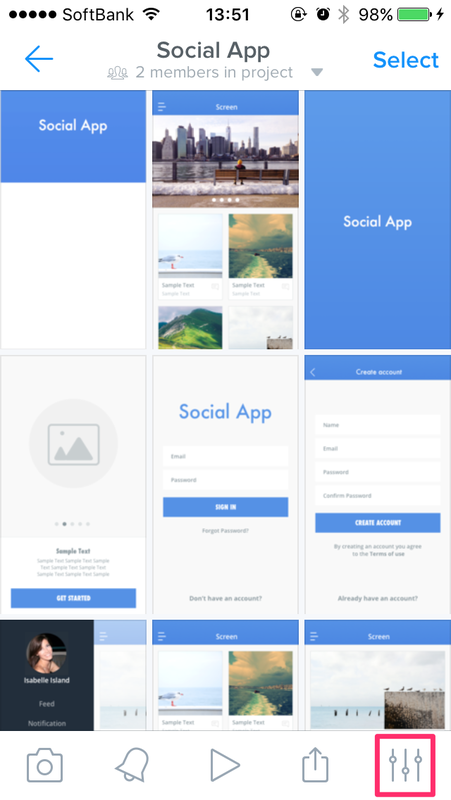 Tap the Copy URL button and share it over chat or tap the Send email button to send it to the individual you want to share your prototype with. Have the individual who will be reviewing your prototype install the Prott Viewer for iOS or the Prott Viewer for Android to give them an easy previewing experience. You can also find the preview URL of your project from the menu icon. From your project screen, tap the menu icon at the bottom right corner. 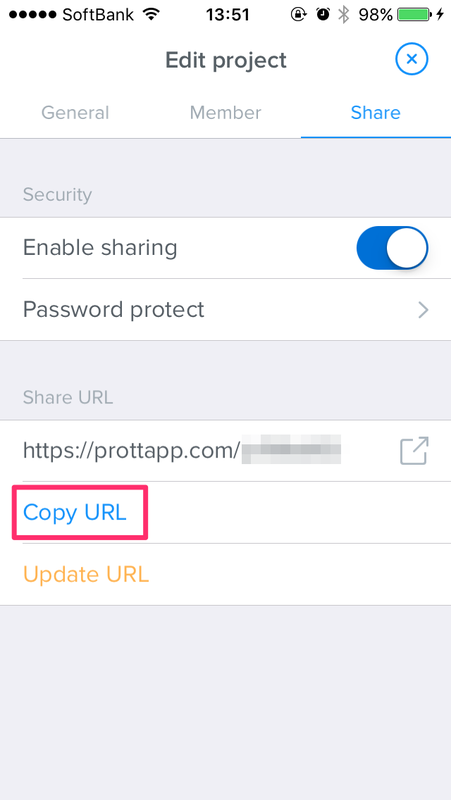 Head to the Share tab and tap where it says Copy URL. With the preview URL that you've copied, send it over chat to your friends or co-workers and have them preview it on the Prott Viewer for iOS or the Prott Viewer for Android to give them a seamless viewing experience.